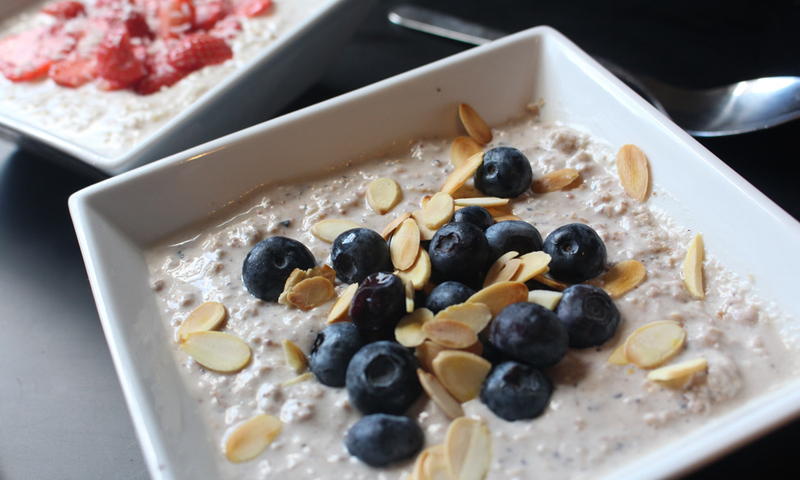 Bircher or sometimes called “overnight oats” is a great quick breakfast that I’ve really got into over the Summer months. It was created by the nutritionist Maximillian Bircher-Benner after a spate jaundice was seemingly cured by eating raw apples. From here he researched the effects of raw food on the body and developed a raw oats and raw fruit meal for his patients. Bircher is basically cold porridge but don’t let that put you off as very tasty, filling and perfect for warm days. Use the below recipes as a guide to making your own version. Some people like it with more oats than I do making it more solid, I prefer it a little more runny so I’ve added less oats than other recipes out there. The little yoghurt pots that you get in a six pack are ideal to use and it’s a quick way to flavour your bircher, or you can just use natural yoghurt and flavour it with fresh fruit. I’ve chosen two of my favourite bircher recipes to illustrate how adaptable it is, one uses almond milk and the other coconut milk, but normal semi-skinned milk would also work. 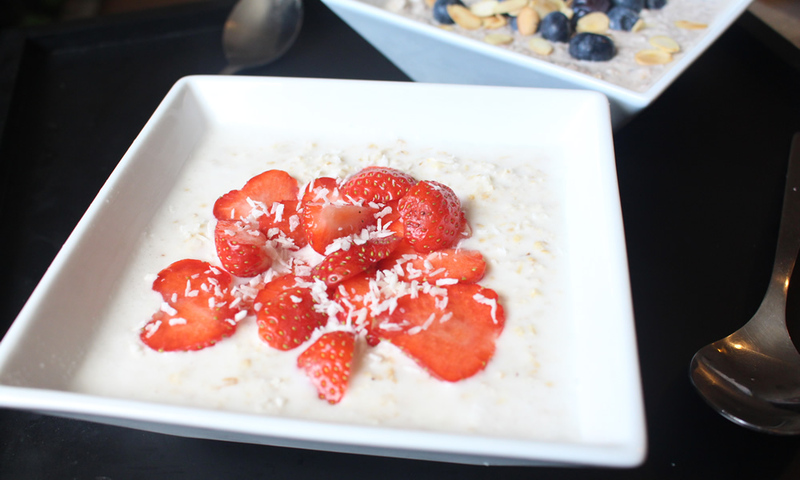 In a bowl add the milk (either the almond, coconut or semi-skinned) and whisk in the yoghurt. If you are adding fresh fruit like for the blueberry recipe then you need to use a blender. When combined mix in the rolled oats and leave in the fridge for at least 6 hours or overnight. In the morning the oats should have absorbed the liquid and it’s ready to use. Top with your chosen fresh fruit or nuts and enjoy.